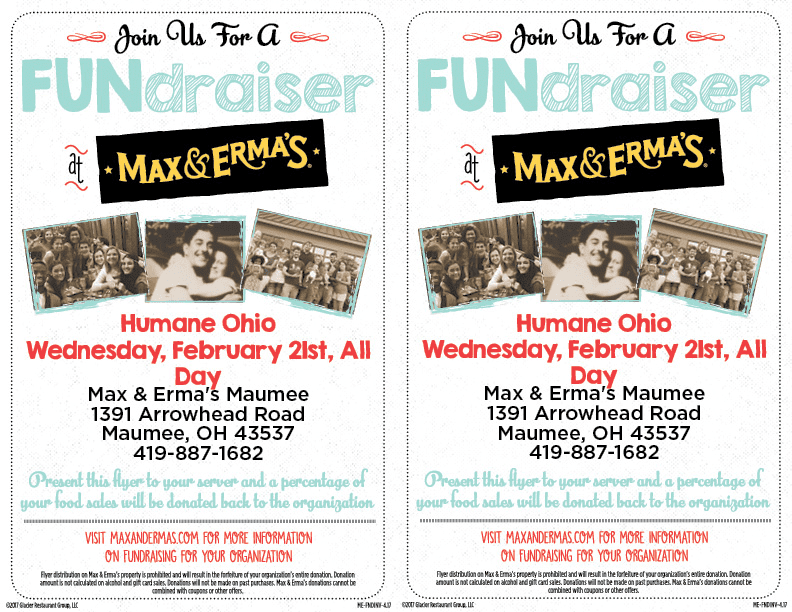 Join us for a FUNdraiser at Max & Erma’s on Wednesday, February 21st. If you present the flyer below to your server that day, a percentage of your food sales will be donated to Humane Ohio! You must have a printed flyer, so please print this page and take with you. ← 2017 Annual Report is in!